2018 was a busy year for DriveSavers data recovery company! Read on for some highlights from the past year. March 2018: Linus Tech Tips came to visit DriveSavers to see what makes us the best, most secure and most technologically advanced data recovery company in the world. Because he was so impressed, he made not one but TWO videos of his experience! You’d never know it from the outside but in there through those doors is one of the world’s oldest and most advanced data recovery companies. DriveSavers headquarters here in Novato California features almost a hundred employees, almost that many security certifications and a two million dollar ISO 5 cleanroom. And they sponsored us down here to have a close look at how it is they take this [holds up burned drive] and turn it into this [holds up new drive]. So let’s go inside. REAL Tech Repair – Linus Swaps Hard Drive Actuator! 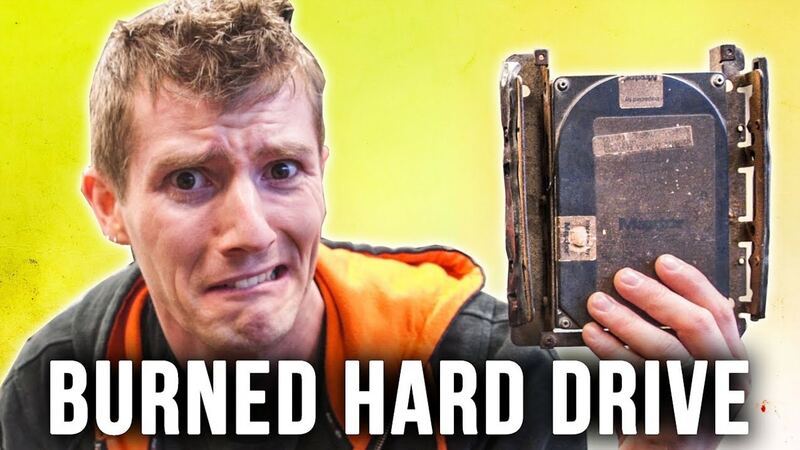 Watch Linus Tech Tips Video: REAL Tech Repair – Linus Swaps Hard Drive Actuator! DriveSavers continues to focus on security more than any other data recovery company. In 2018, we released a new cybersecurity white paper. 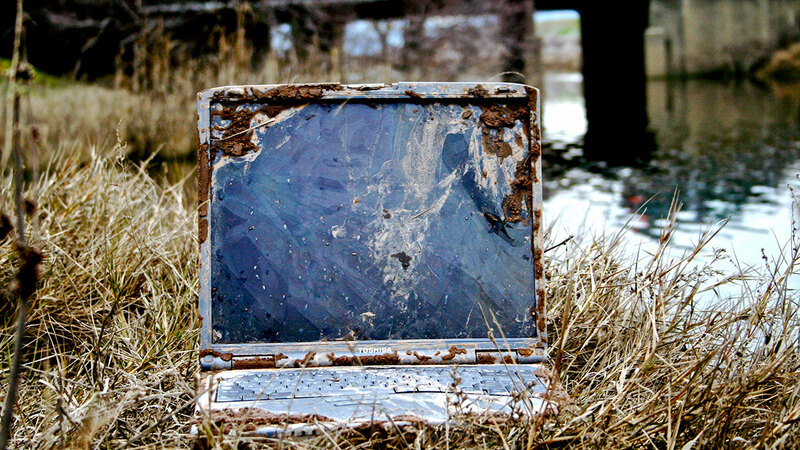 The paper focuses on the overlooked risk of third-party data recovery providers. In the report, DriveSavers chief information security officer (CISO) Michael Hall explores factors in the organizational cost of a data breach (average $7.35 million per breach). More importantly, the paper also reveals that most data recovery companies do not meet best practice standards to ensure data protection through cybersecurity. Read this white paper for methods that organizations can use to vet a third-party data recovery company. In addition, there is an easy-to-follow checklist. Robust risk management is a must in today’s challenging environment of mounting digital attacks on vital company assets and the regulated data they are entrusted to protect. Most organizations have a dynamic layered security practice, which incorporates multiple security controls to protect this sensitive data. The reputational and financial consequences of lost or corrupted data require it. This white paper addresses an often undetected or unattended internal and contractual risk—data recovery—that appears to be an exception in an otherwise strong-layered security practice. Read the cybersecurity white paper. May 2018: Daily Journal/California Lawyer chose an article written by Bob Mehr, Senior Legal Services Advisor at DriveSavers, for part of their Minimum Continuing Legal Education (MCLE) training. The article, eDiscovery for Lawyers Who Like Paper, breaks down electronic discovery in a way that less technical lawyers can understand and learn. Lawyers everywhere who have historically conducted paper discovery are constantly faced with the challenge of e-discovery. 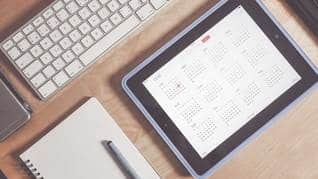 In truth, the electronic process is not that different from the paper process these lawyers may be accustomed to, and may even be easier to handle, once they grasp the new process. June 2018: Not to be outdone by Linus, Austin Evans came to DriveSavers for a tour as well. If you’re familiar with these two YouTubers, you know they have a friendly rivalry. With help from our flash memory data recovery engineers, Austin attempted to extract photos and other data from a Samsung Galaxy S6 smartphone. Hey guys, this is Austin, and today I’m in an incredibly stylish suit for one reason. I’m about to go into this cleanroom to take a look to see how DriveSavers is able to save everything from a hard drive to an SSD to – importantly for what we’re going to be doing today – how to save the data off your smartphone. 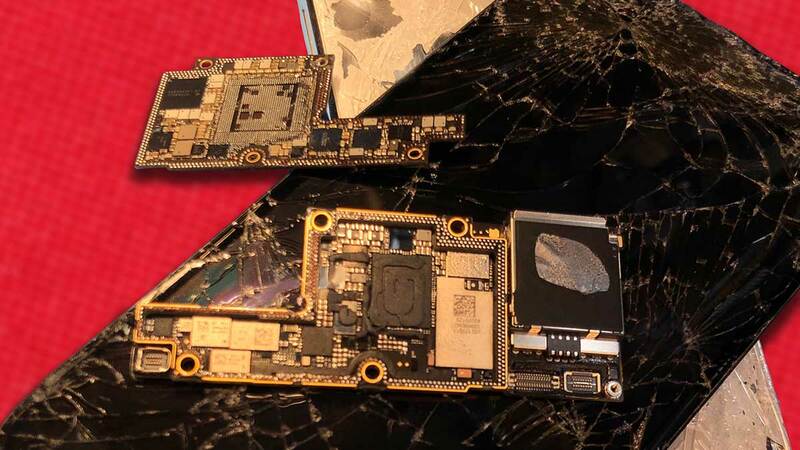 July 2018: When the 2018 Macbook Pro hit the shelves, there was a rumor that the computer’s data would be unrecoverable if the logic board failed. Because Apple had changed the design in this latest Macbook Pro, some computer experts believed this to be true. However, due to advanced capabilities in addressing the logic board, none of the changes have had any effect on DriveSavers ability to recover data for our customers. Some reputable press outlets helped us spread the word that DriveSavers could recover the data from the new Macbook Pro. Touch Bar-equipped MacBook Pro laptops have always featured solid-state storage soldered to the logic board, making it impossible to remove for data recovery, as was possible with hard disk drives. For these Macs, Apple enabled last-ditch data recovery through a special port on the logic board, combined with a custom tool for Apple Authorized Apple Service Providers. In 2016, when Apple introduced the first MacBook Pro with Touch Bar models, the repair experts at iFixit discovered the notebooks have non-removable SSDs, soldered to the logic board, prompting concerns that data recovery would not be possible if the logic board failed. Fortunately, that wasn’t the case. If you recently purchased one of Apple’s refreshed 2018 MacBook Pro models, you’ll want to maintain backups of your files. Unlike previous models, if the logic board fails on your laptop, there is no way for Apple and its service technicians to access the solid-state drive and recover the contents stored on the system. August 2018: DriveSavers is the first and only data recovery company to win an award at Flash Memory Summit, the leading independent storage show worldwide. At the conference, DriveSavers received the 2018 Most Innovative Flash Memory Consumer Application Award. The award recognizes innovation in how a product or service is being used to solve specific consumer problems. No other data recovery company has ever won an award at this prestigious conference. Read more about the Flash Memory Summit Award. This year, many media outlets weren’t only interested in data recovery. They also wanted to know how to delete data for good. Because DriveSavers is the best in the world at data retrieval, we can often successfully find data that other data recovery companies cannot. For this reason, the press turned to us as the industry expert for…data deletion. After all, if DriveSavers can’t save it, nobody can. 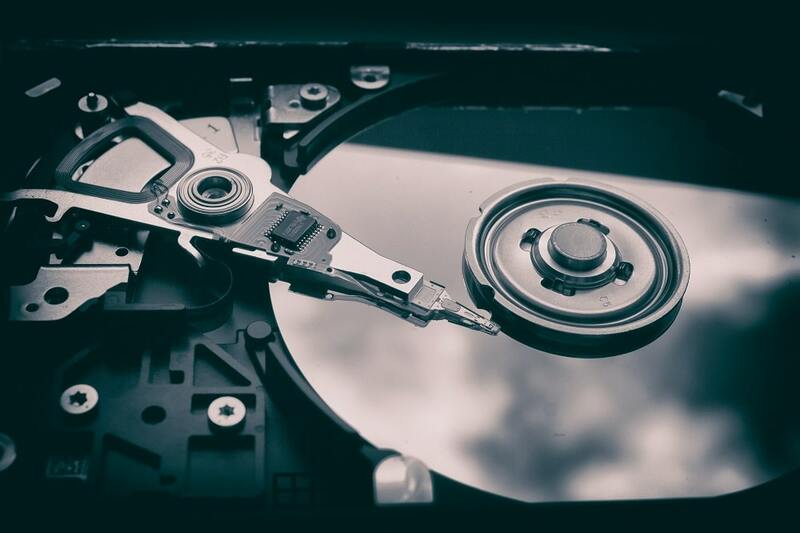 A hard drive crash is unnerving enough by itself — the tiny bundle of electronics that warehoused your data for years suddenly stops working, often with no warning. But when that drive is a backup volume that held your most sensitive data, you have an extra worry: That it’s not dead enough, meaning your information can be retrieved with specialized tools. When it’s time to donate or ditch an old flash-memory drive that stored sensitive information, deleting those files isn’t enough. The safest way to wipe the slate clean is actually to encrypt it — and that’s not as hard as it sounds. Donating a used SSD may seem like a nice thing to do, but not if you want to keep your data secure. SSD disposal and recycling are more complicated than you might think.